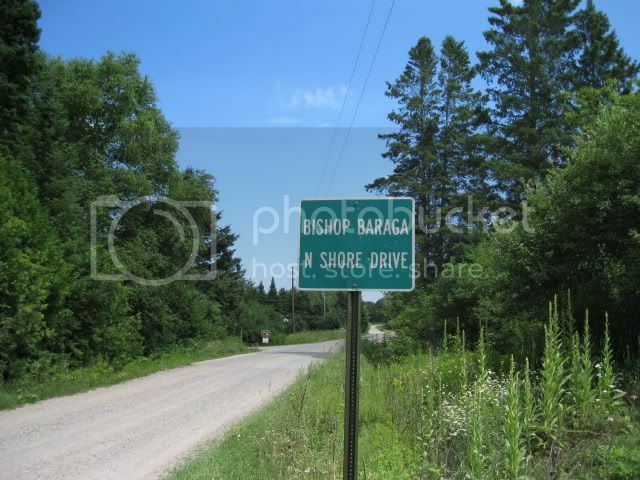 Bishop Baraga (BEAR uh guh) has connections to northern Wisconsin as well. 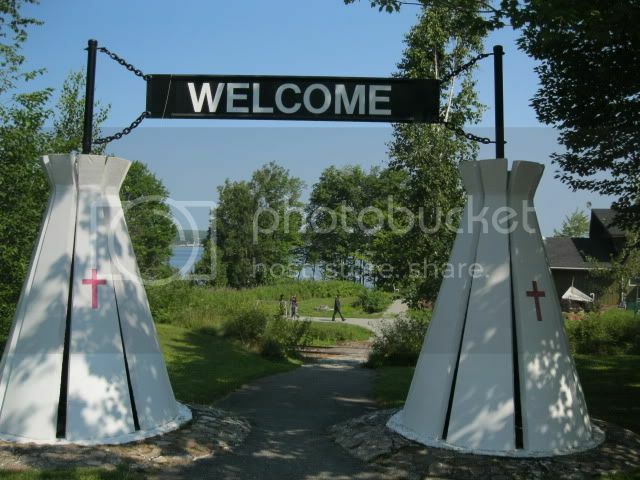 This Shrine of the Snowshoe Priest (left) has one tee pee base for each of five main Catholic missions he began, listed below. 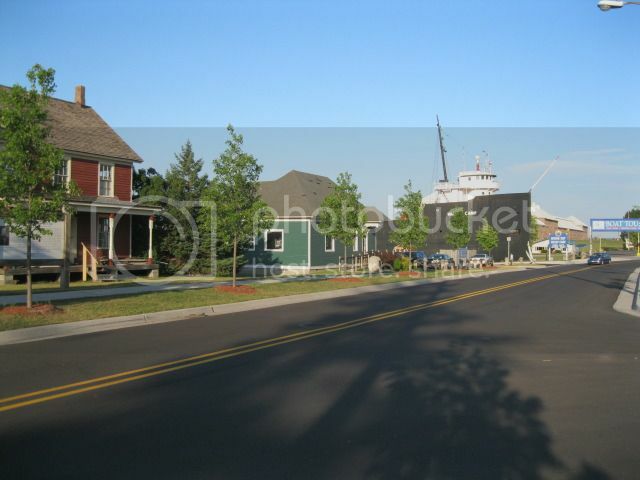 La Pointe, WI - 1835 - La Pointe is on Madeline Island, one of the Apostle Islands in the Superior, WI area. That's me down there looking small. This statute is 60 feet tall from ground to top of his head. The cross he is holding is 7 feet high and his snowshoes are 26 feet long. 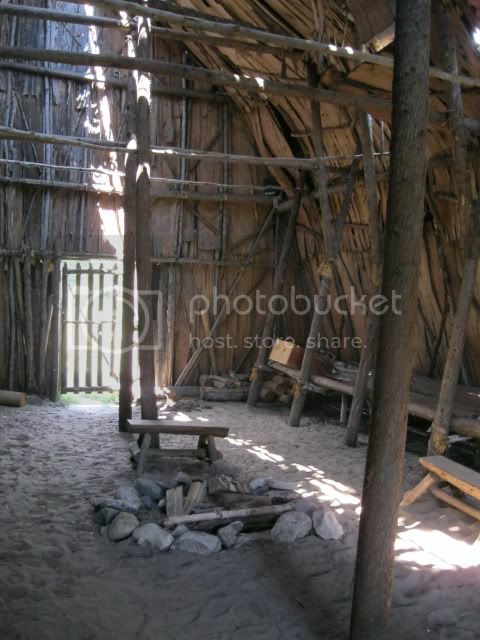 This Native American Longhouse on the shrine site now houses prayer candles. My family and I visited at a pretty bad time. 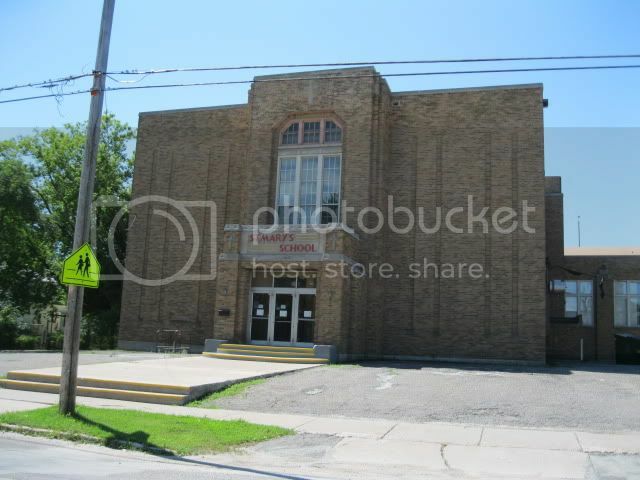 Mass was already underway and the old Assinins School where Baraga taught was closed. We did get to visit the Assinins Cemetery, just down the road. 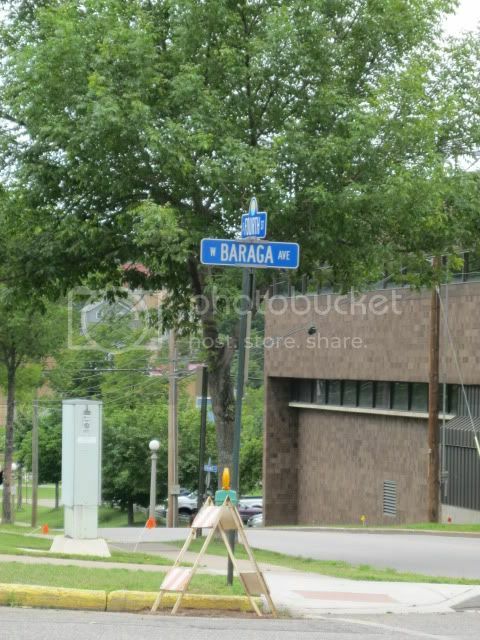 Baraga is not buried there but Chief Assinins is, as well as Baraga's good friend, Father Edward Jacker. The Ojibwe chief was a convert of Baraga's and Father Jacker is said to have nursed Baraga through his final illness in Marquette. Father Jacker has ties to the St. Peter Cathedral (below) from 1866 - 1869 when he was, first, pastor and then Diocesan Administrator. This is a useful site if you are heading in this direction. Check out the map of nearby waterfalls, which are all over this area. This church in Baraga territory has a stained glass window of him (above). Note the tomahawk and the teepee. Baraga established a mission here in 1832. 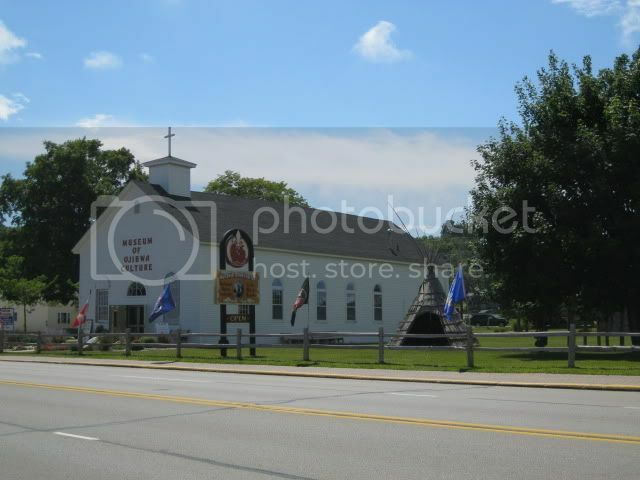 "St. Ignatius Mission - In 1671 the mission of St. Ignace was established so that the Christian message could be brought to several thousand Indians living on this shore. 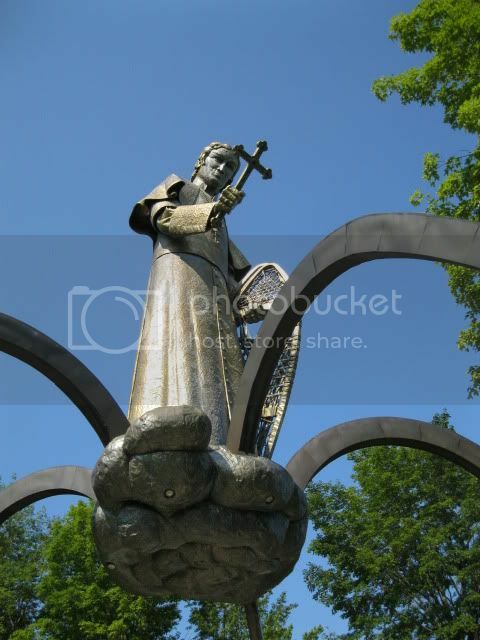 The founder was Father Jacques Marquette, the Jesuit missionary. In 1673 he left on his great journey to the Mississippi Valley. He never returned to his mission before he died in 1675. Two years later his bones were reburied here beneath the chapel altar. In 1706, after French troops abandoned the Fort, the chapel was destroyed." 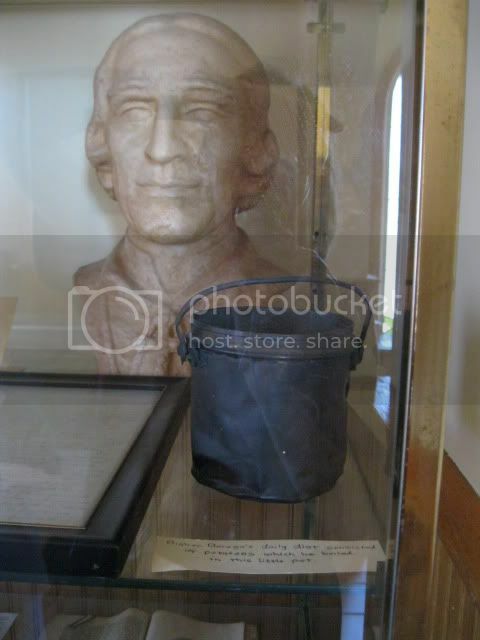 Even though you may think you are on the wrong pilgrimage with all this stuff about Pere Marquette, this museum has Baraga stuff too. 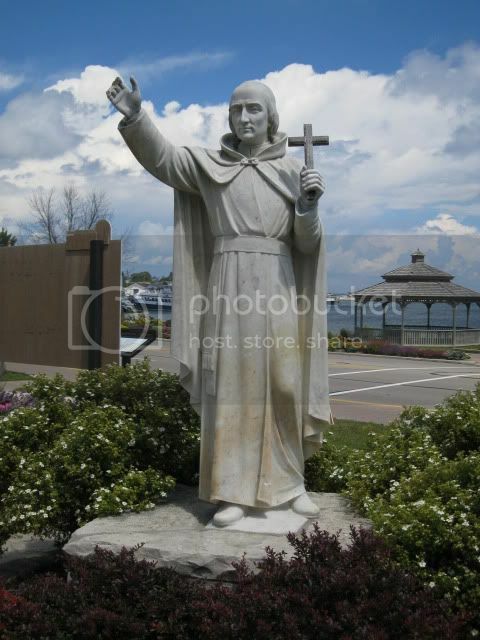 Named after Jesuit founder, Ignatius Loyola, St. Ignace is the second oldest city in Michigan (after Sault Ste. Marie). 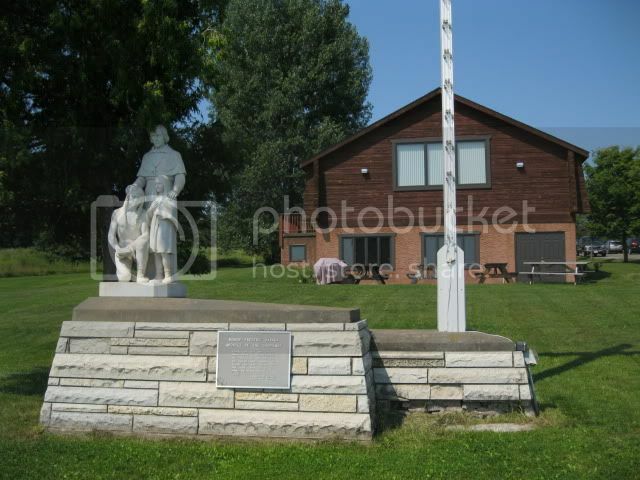 It was settled by Pere Jacques Marquette in 1670. The current Museum of Ojibwa Culture in Father Marquette Mission Park was actually the first church building in town, built in 1837. 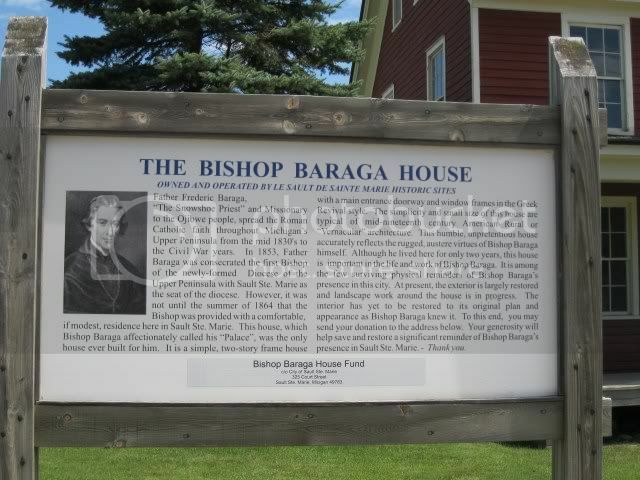 While most of the museum focuses on Ojibwa and Huron culture, as well as the life of Pere Marquette, Bishop Baraga is included in the museum as well. He passed through the area a number of times on his mission trips. 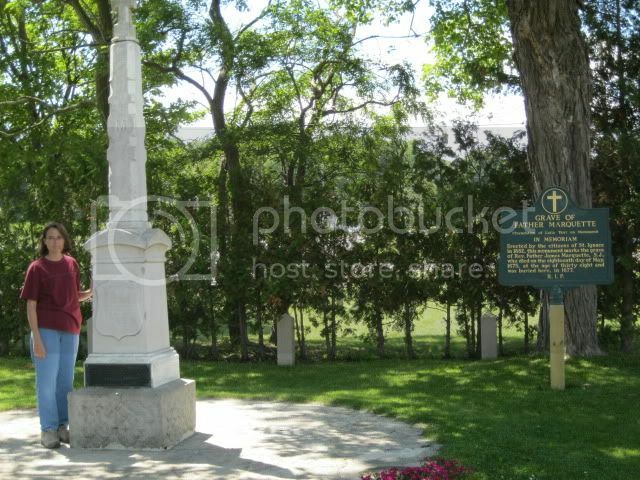 On nearby Mackinac Island in 1831 Father Samuel Mazzuchelli was priest. 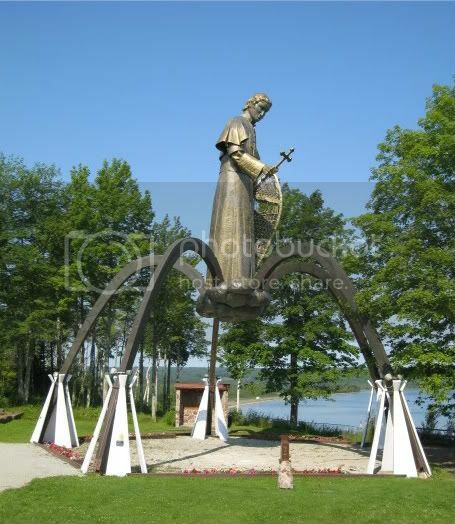 He became friends with Bishop Baraga on one of the bishop's pass-throughs. 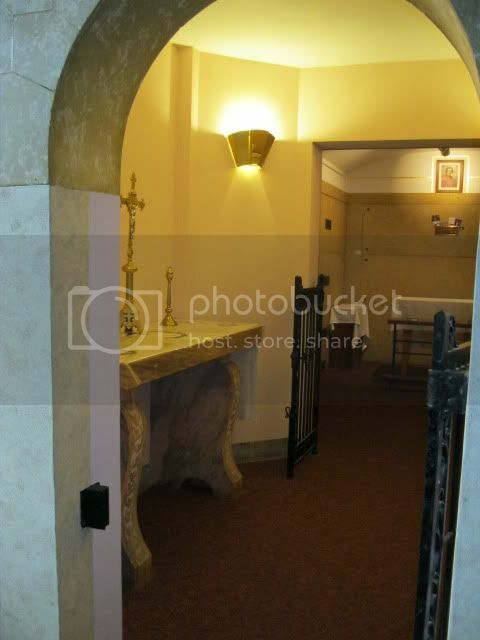 Above is a picture of the crypt chapel, in which Bishop Baraga and five other bishops are entombed below St. Peter's. 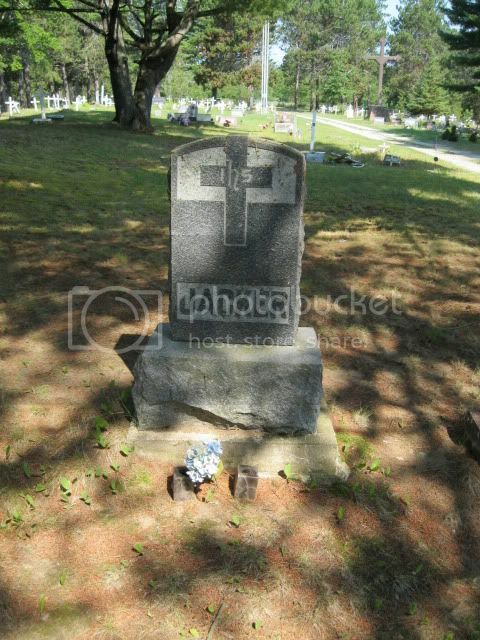 Inside you will see photos and things people have left behind who are asking Bishop Baraga for healing and favors. Praying at the tomb of Bishop Baraga is certainly a highlight of any pilgrimage. It is worth adding, though, that the five other holy bishops buried in the same room might receive your prayer requests well, too, and might appreciate your prayers for them. Six bishops buried in one room. WOW! You may also want to visit Bishop Baraga House, built in 1855. 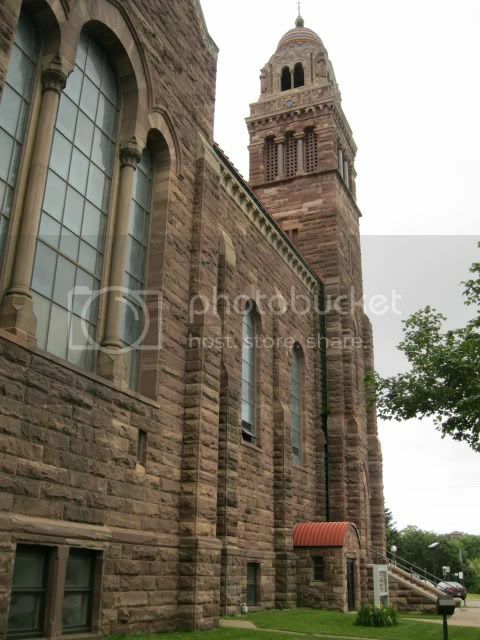 It is located at 615 S. 4th St. in Marquette. 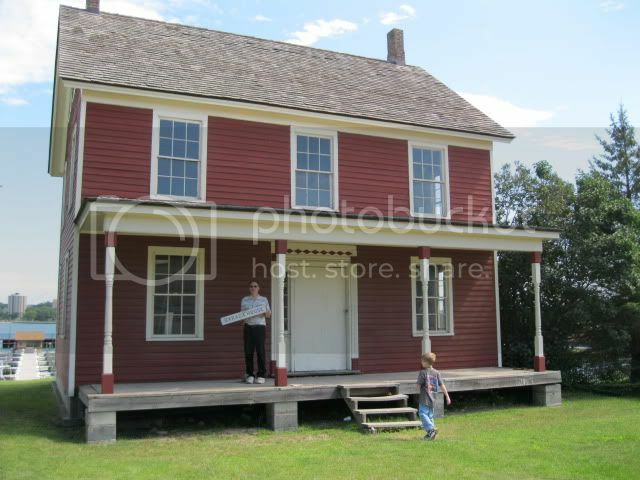 Baraga lived, and finally died in that house (1866 - 1868). 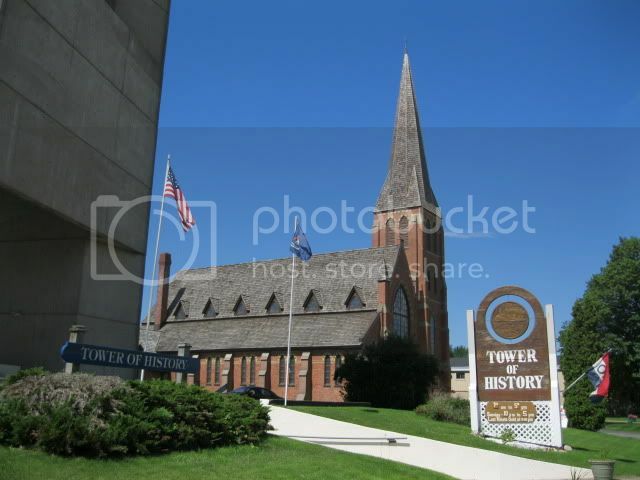 Now the Bishop Baraga Association and Archives is located in that building. In the picture above, my son reminds you not to forget to visit Sault Ste. Marie's sister city across the border in Canada. This picture was taken on the lakefront there. By the way, both Sault Ste. Maries are nicknamed "the Soo" so make sure which side of the border people are talking about. You will need a passport to cross the bridge into Canada. Sault Ste. 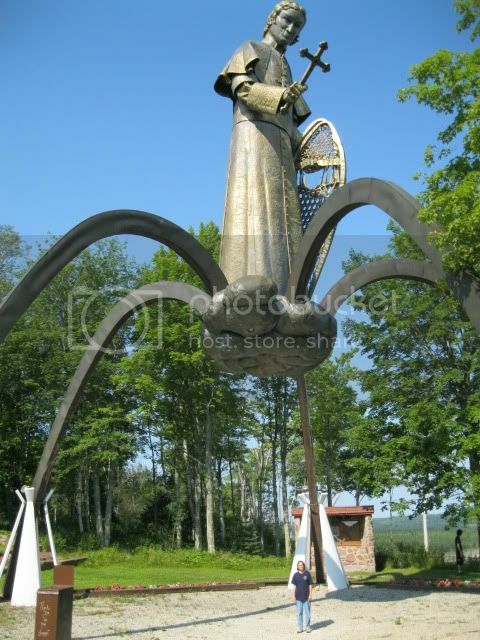 Marie (SOO SAINT MARIE), Michigan is a must-visit for fans of history and/or the Great Lakes. My husband is interested in ships so he LOVES coming to this area. Before checking out the Baraga sites, we enjoyed watching the ships "lock through". There is a nice park to explore and a great interpretive center, all free. 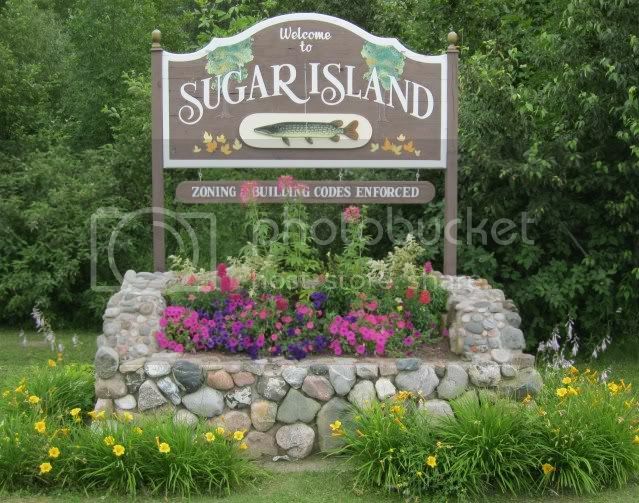 "Soo" Michigan is the oldest city in that state and the third oldest in the whole United States. St. Isaac Jogues said the first Mass in the area in 1641 and Pere Jacques Marquette, S.J., "discoverer" of the Mississippi River, actually founded the city in 1668. 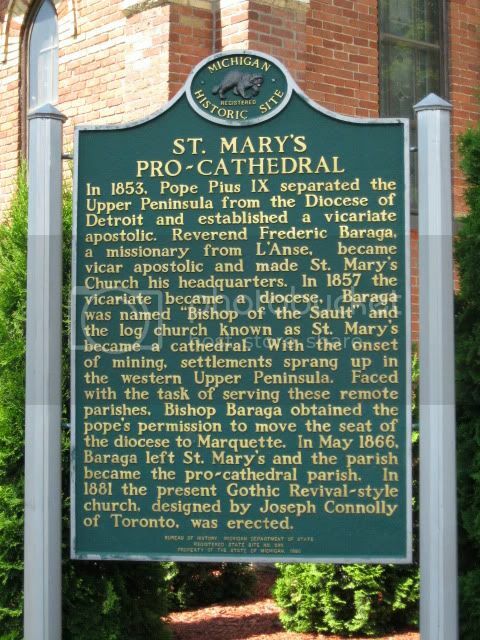 Bishop Baraga lived in the city from 1853-1866. His house (below) can be visited in "History Row" on the St. Mary's River. 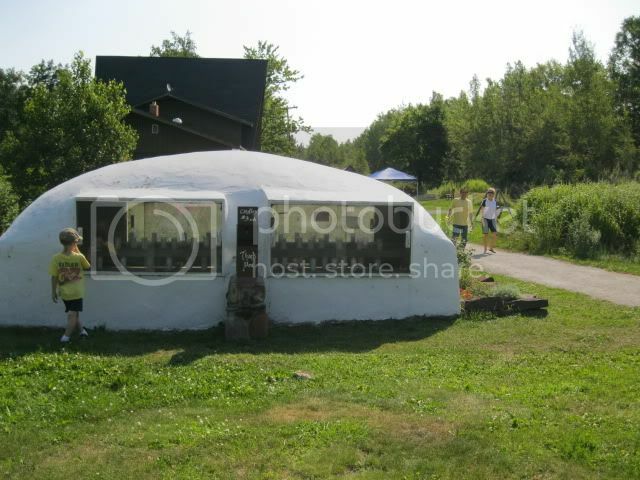 It is just a few steps away from the Museum Ship Valley Camp so you might want to check that out if you make the trip. Baraga House has been restored on the outside. As of our visit in July of 2011 the next goal was to add some landscaping. Eventually, they hope to restore the interior as well. Currently it is empty and not open to the public. 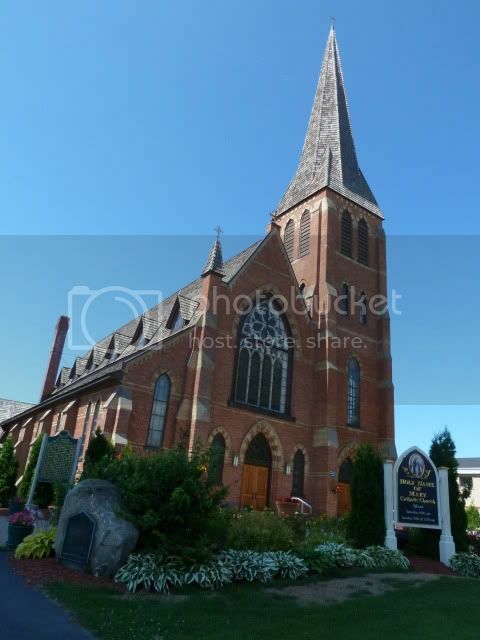 "St. Mary's" in the Michigan Soo, is the 3rd oldest Catholic parish in the U.S. although it has been rebuilt four times since its founding. The picture directly below shows it next to the Tower of History attraction on Portage Street. St. Mary's has a room set aside as a mini-museum of items belonging to Baraga. In that room is a sign answering the question, "What exactly is a "Pro-Cathedral?" 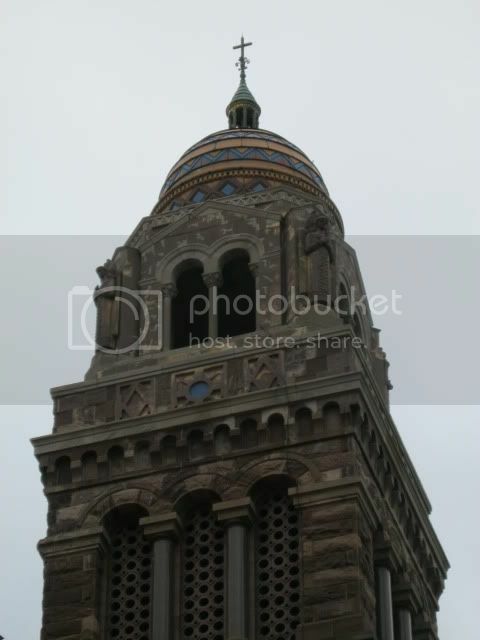 "The present Holy Name of Mary Church, having been built in 1881, never had the canonical status of a cathedral church. Nevertheless, in virtue of the fact that Bishop Baraga's episcopal chair is here, as well as St. Mary's having in the past served as the cathedral parish, the Bishop of Marquette accords this church the honorific title "Proto-Cathedral". The sign also explains about the chair below, located in that museum. 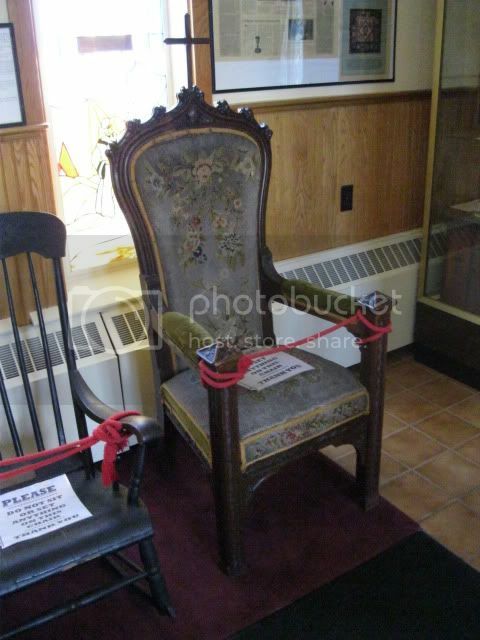 It is Bishop Baraga's Cathedra or Episcopal Chair, from which he presided as Bishop. He used it in the cathedral church building (the fourth on this site, built of logs in 1837) that preceeded the present church. 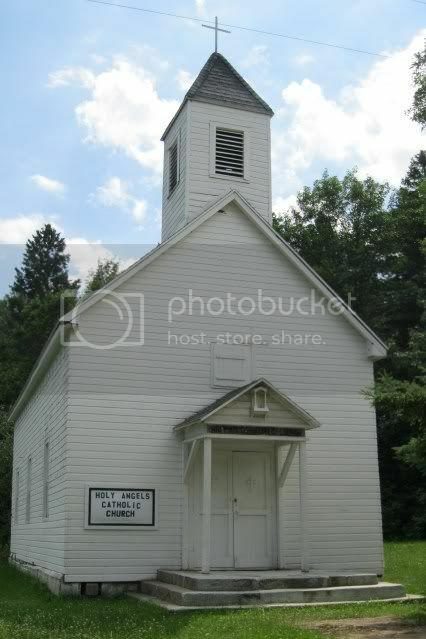 The current church was completed in 1881. 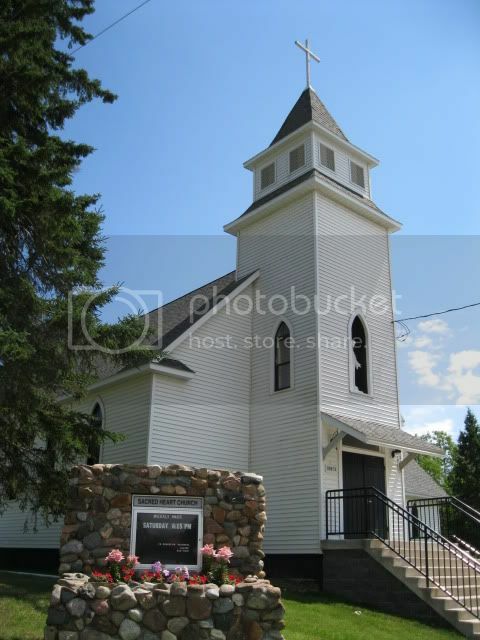 To the left of the cathedra chair is the humble rocking chair from Baraga's home (above). You can't sit in either one of them (understandably). Sorry. I really liked this museum. Of all his belongings on display, my favorite was the potato pot (below) in which he made his daily meals. And I can't resist tossing in this picture of St. Mary's School behind the church. It looks like classes are held in an old theater building. From Sault Ste. 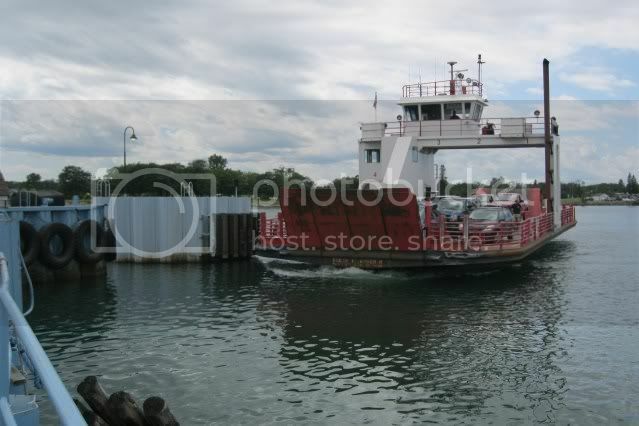 Marie, MI, take Portage Street east to its end and you will find the stop for the Sugar Island car ferry. There is a popular burger joint in this spot as well as great ship watching. Between 1854 and 1864 Bishop Baraga built four churches on Sugar Island but only two still stand. One, Sacred Heart Church, is still in regular use. 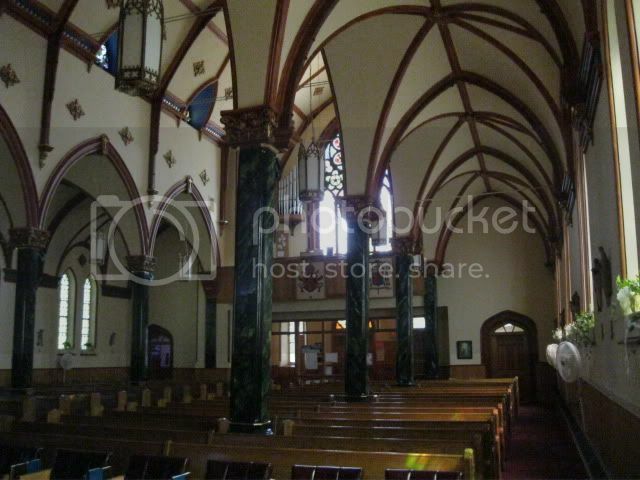 The other, Holy Angels Catholic Church, is only used occasionally. Here is a youtube link of the annual Baraga Mass that lets you see the inside of that church. To visit, wait in line and board the car ferry. It will run you a little more than $10 per car depending on the number of riders, but that is your round trip fare. It leaves every half hour. Interestingly, the trip across the channel in the St. Mary's River only takes about one minute. There is no other way by car on to or off of the island. I found it difficult to get information about the ferry and Sugar Island. The guy who took our money on the ferry rustled up a map for me, which was much needed. Even with that, I was thankful I asked the lady in another car waiting to load where the churches were. They aren't on the map and the map is pretty unclear about which roads are even paved. The ferry deposited us on E. 1 1/2 Mile Road. The second right turn, S. Westshore Drive, took us a short distance to Sacred Heart Church (below). Retracing your path to E. 1 1/2 Mile Rd., go right (east) on it, drive for a bit then follow Eastshore Drive to the left. When you come to Northshore Drive go left. 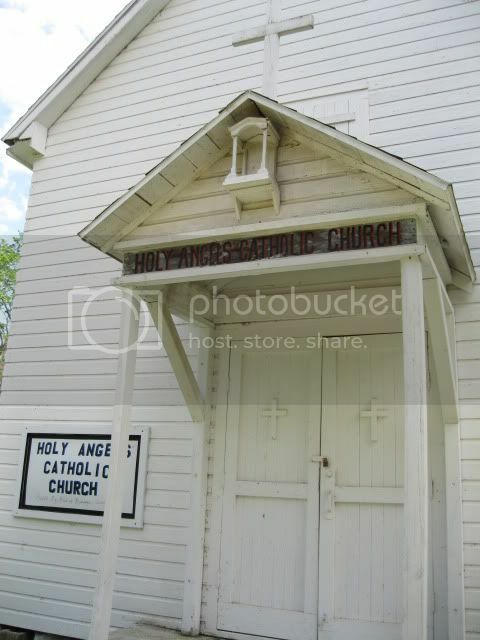 This will take you to Holy Angels Catholic Church (below). If you go much further you can kiss the pavement good-bye and say "Hello, gravel!" Note that they named the road after the bishop. I hear that there is a beautiful walkway through the woods behind the church that leads to a cemetery but I did not stumble upon that path during my visit. This is a compilation article of various trips taken at various times dating from 2009 - 2012. For more information at this website about Bishop Baraga, including a reprinted article interviewing the artist of the Baraga painting hanging in the La Crosse shrine, go to the Frederic Baraga page. 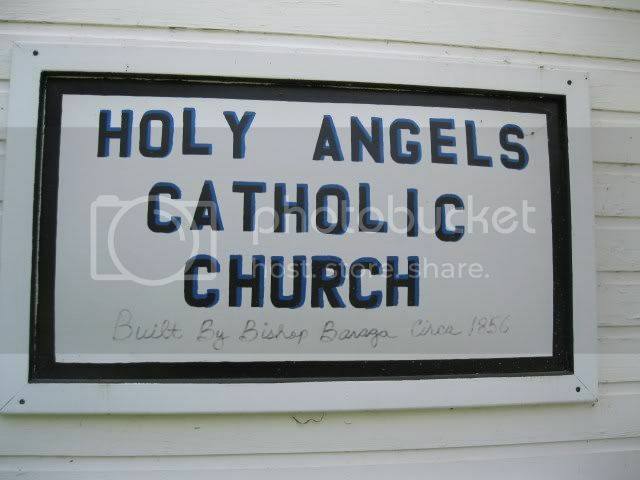 For more pilgrimage information on Bishop Baraga and possible pilgrimage sites go to the Bishop Baraga Association website.